A high grade Jaeger LeCoultre womens watch for everyday wearing. 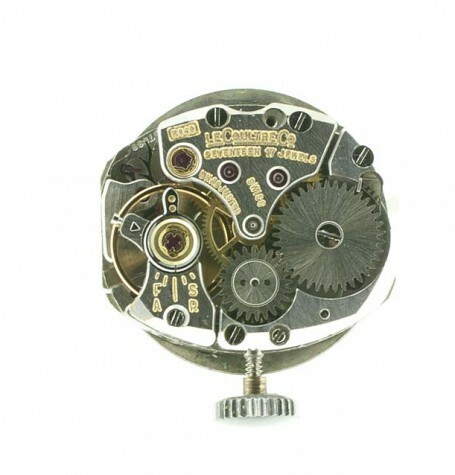 Steel case and high grade mechanical movement. 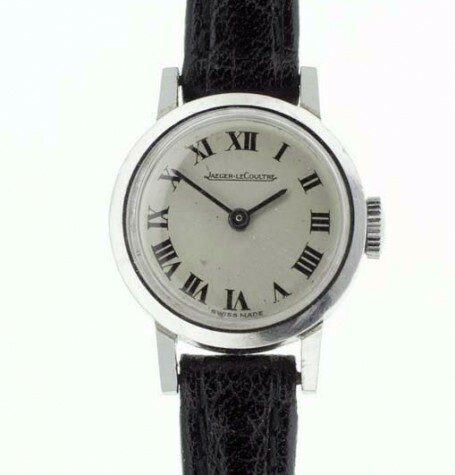 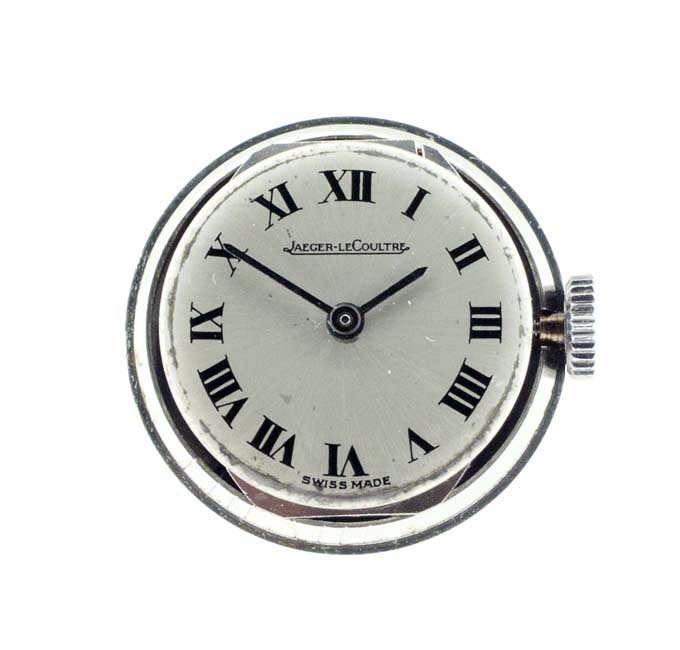 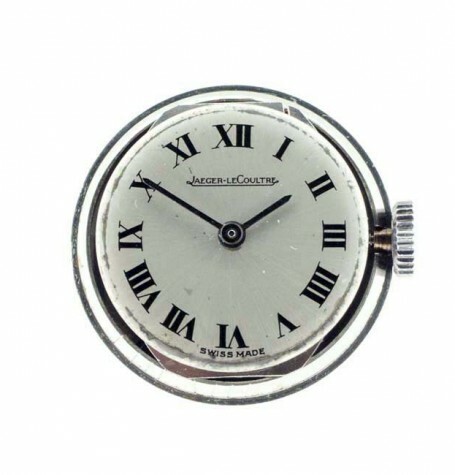 An unusual Jaeger LeCoultre ladies watch. 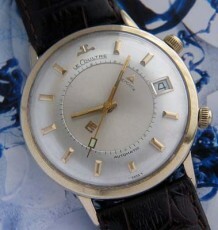 Not made of gold and not really a dress watch. 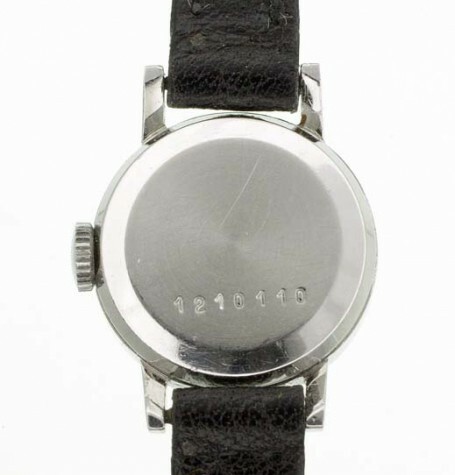 Instead a wonderful high quality steel everyday watch. 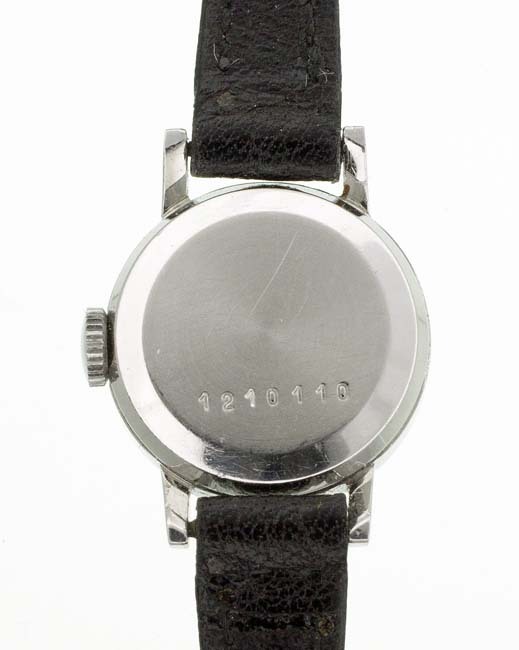 The watch dial features painted black Roman numerals on a silvered white background. 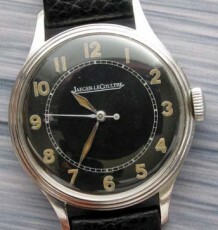 Highly legible black stick hour and minute hands indicate the time. 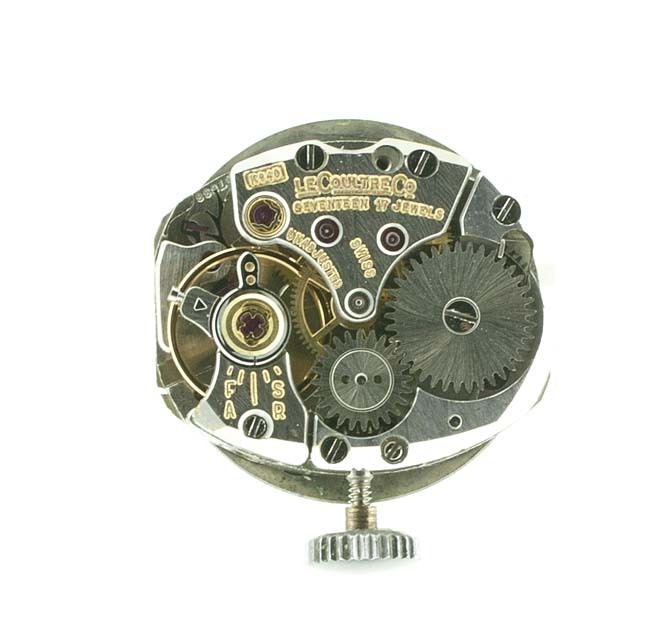 Inside the steel case, the watch is powered by a 17 jewel manual wind mechanical LeCoultre calibre K940 movement. 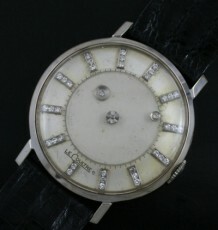 The watch was recently serviced. 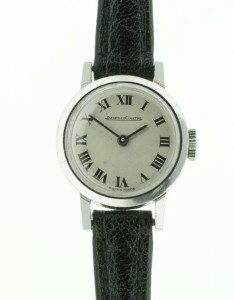 This is a petite watch, very elegant in its simplicity. 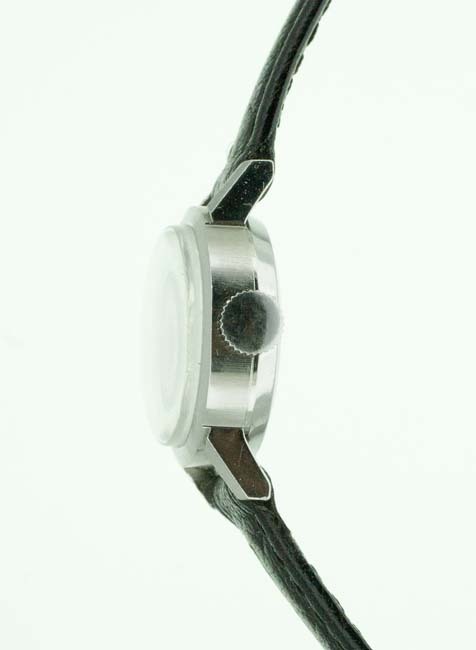 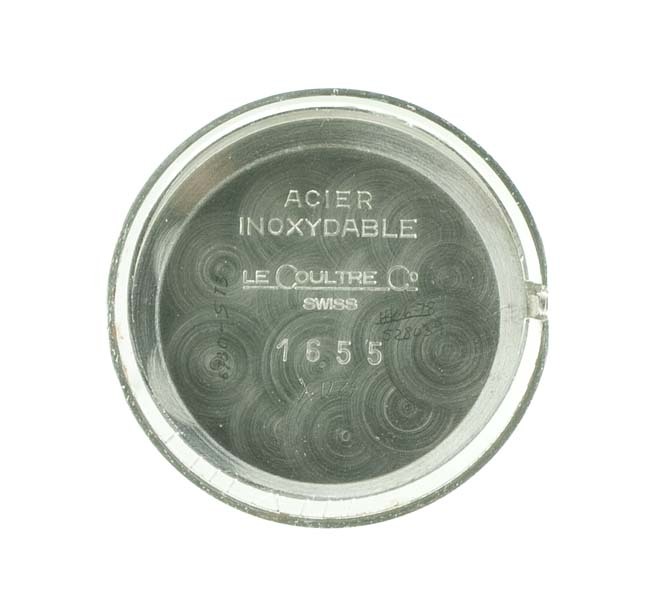 The case measures 18 mm wide by 24 mm long and is currently pictured on a black leather strap. 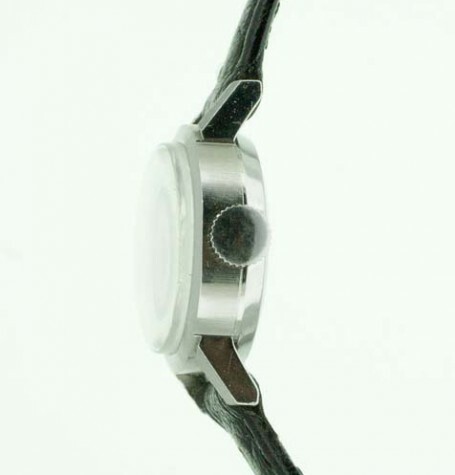 The watch can be supplied on a brown strap if preferred. 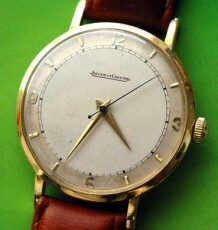 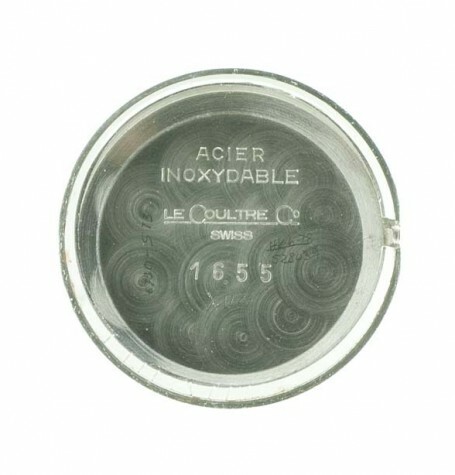 This model carries a case reference of 1655 and appears to date to the 1980’s.